The motivation for this book was provided by the countless individuals who have attended lectures given by the author at central banks and other financial institutions around the world, as well as at universities, from 2010 to 2012. The lectures were based on the findings of the Icelandic Parliament's Special Investigation Commission (SIC), and the commission's roughly 48 employees and contractors who completed the work in only 15 months. They managed to sift through millions of pieces of data, resulting in extraordinary lessons for us all, including for those who were the main culprits. The case of Iceland's financial boom and bust isn't just unique due to its extremes, but also due to the extensive autopsy performed post-crisis by the Special Investigation Commission using its unique data privileges. The lessons are many and the data often speaks clearly how we can avoid such an extreme episode in the future, but most of the findings were only published in Icelandic in the SIC's 2400+ page report. A condensed English version was therefore necessary. The book is organized into four parts. Part 1 (chapters 1-4), "From Prosperity to Panic", covers the introduction, a background and context, the days and weeks prior to the collapse, and an introduction to Iceland's Special Investigation Commission. 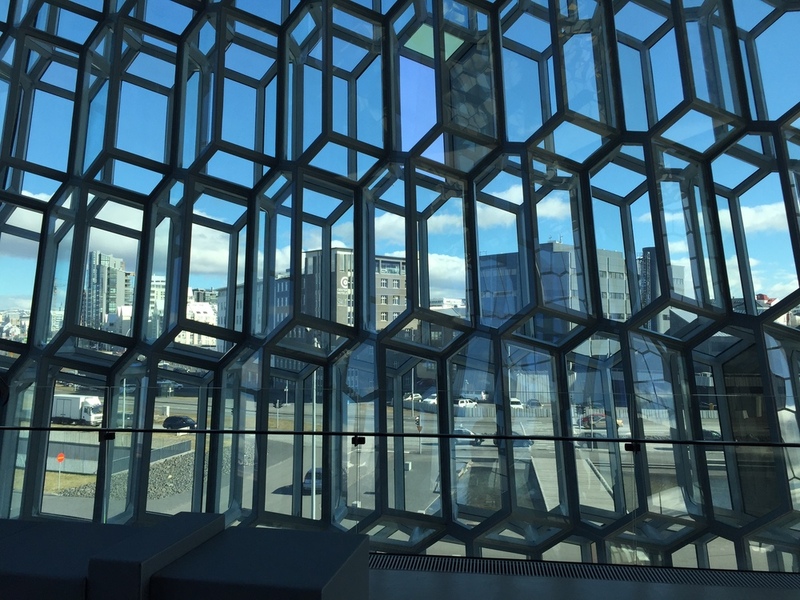 Central Bank of Iceland, seen through the glass facade of the Harpa concert and conference center. Part 2 (chapters 5-9), "How Did the Bankers Do it? ", covers the process of financial liberalization, the funding of the banks, the Geysir Crisis (aka Geyser Crisis), the Central Bank's so-called Love Letters, and tricks played on the European Central Bank. Part 3 (chapters 10-13), "Why Did the Bankers Do it? ", covers the web of ownership, related-party lending, market manipulation, and flawed incentive systems. And finally, Part 4 (chapters 14-17), "Why Didn't Anybody Stop the Bankers? ", covers the online deposit funding efforts by the banks, the desperate actions of the Central Bank of Iceland, the Icelandic Financial Supervisory Authority (FME), and the concluding remarks. The following statements are some of the endorsements and comments received by the author. — Anat Admati, Professor of Finance and Economics at Stanford Graduate School of Business and coauthor of The Bankers' New Clothes: What's Wrong with Banking and What to Do About It. — Franklin Allen, Nippon Life Professor of Finance and Professor of Economics, The Wharton School of the University of Pennsylvania. — Charles Enoch, Deputy Director of the Monetary and Capital Markets Department, International Monetary Fund (IMF), Washington D.C., USA. — Howell E. Jackson, James S. Reid, Jr., Professor of Law, Harvard Law School. — Gylfi Magnússon, Associate Professor of Finance at the University of Iceland and Minister of Economic Affairs in 2009-2010. — Andrew Metrick, Michael H. Jordan Professor of Finance and Management Yale School of Management. — Ceyla Pazarbasioglu, Deputy Director in the Monetary and Capital Markets Department at the IMF, and former Vice President of the Banking Regulation and Supervision Agency of Turkey. — Gylfi Zoega, Professor of Economics at the University of Iceland, and co-author of Preludes to the Icelandic Financial Crisis.